CCTV for Waste Management, Skip Hire and Waste Recycling premises. 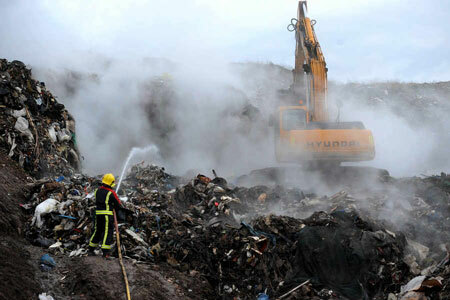 Waste Management, Skip Hire, and Refuse Recycling sites face an inherent fire risk due to the volume of combustible materials stored on site before processing and disposal. The human and financial impact of a fire in this type of premises must not be underestimated. It shouldn’t come as a surprise therefore that more and more commercial insurers are increasing their fire prevention and detection requirements for such businesses. Traditional fire alarm systems, while undoubtedly valuable have their limitations in waste processing premises. The large physical areas combined with the highly combustible nature of the materials they handle mean that any delay from the onset of combustion to detection could result in significant damage and even loss of life. Modern CCTV systems offer visual smoke and fire detection, allowing site operatives or remote monitoring centre staff to spot the early signs of combustion and to alert the emergency services. 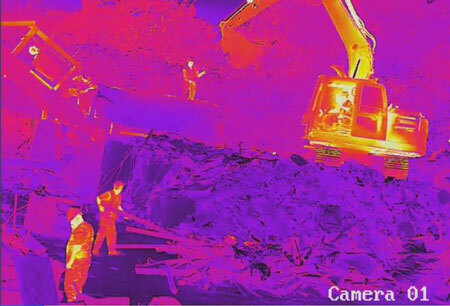 By combining CCTV with Video Content Analysis (VCA) and thermal imaging sensors with an automatic over-temperature read system we can automatically detect and alert staff to any fire imminent risks on your premises. This technology also allows you to identify the location of any hot spots with pinpoint accuracy. Passing this information to the emergency services can reduce the risks of severe damage or loss by allowing them to go straight to the seat of the fire. At ADP Security, we have a track record of helping waste management, skip hire and refuse recycling centres like yours to comply with demands for this type of technology required by your commercial insurers. We have installed such systems in waste handling and skip hire facilities across the South of England. We specify, design, install and maintain the most appropriate CCTV fire detection system to suit your commercial premises.